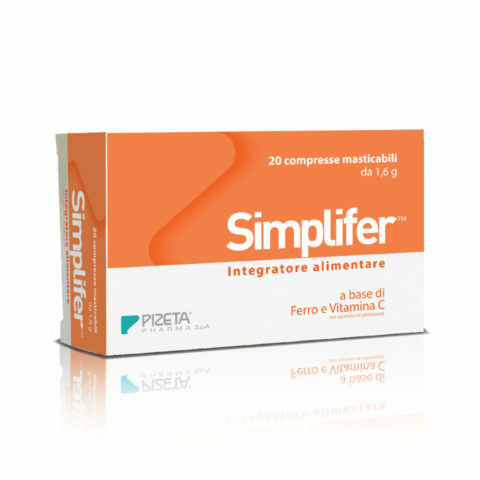 Food supplement containing bivalent Iron, Copper and Vitamin C all microencapsulated in a patented gastro-resistant and slow-release formulation. 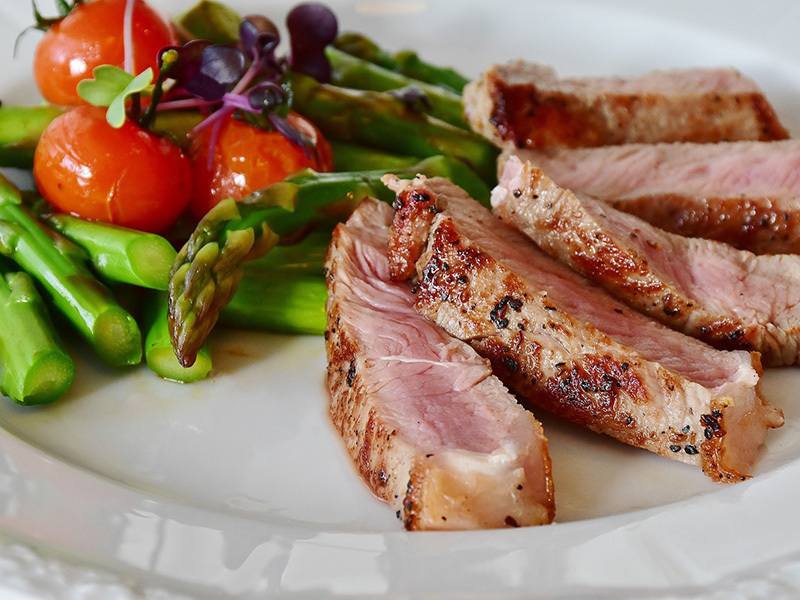 Iron contributes to the normal transport of oxygen in the body, to the normal function of the immune system, to normal cognitive function and to the reduction of tiredness and fatigue. Copper contributes to normal iron transport in the body. Vitamin C increases the absorption of iron. 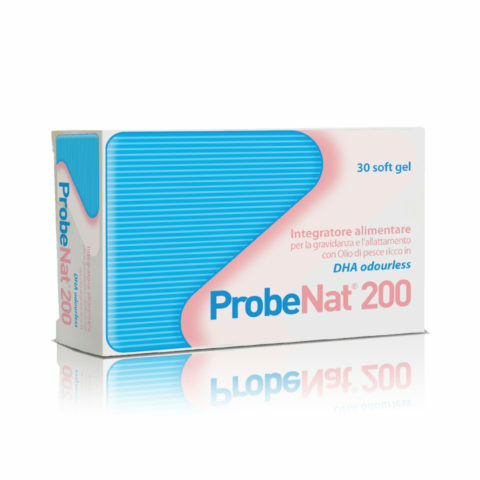 Effective and practical formulation in 20 stick packs, to be taken without water and without chewing. 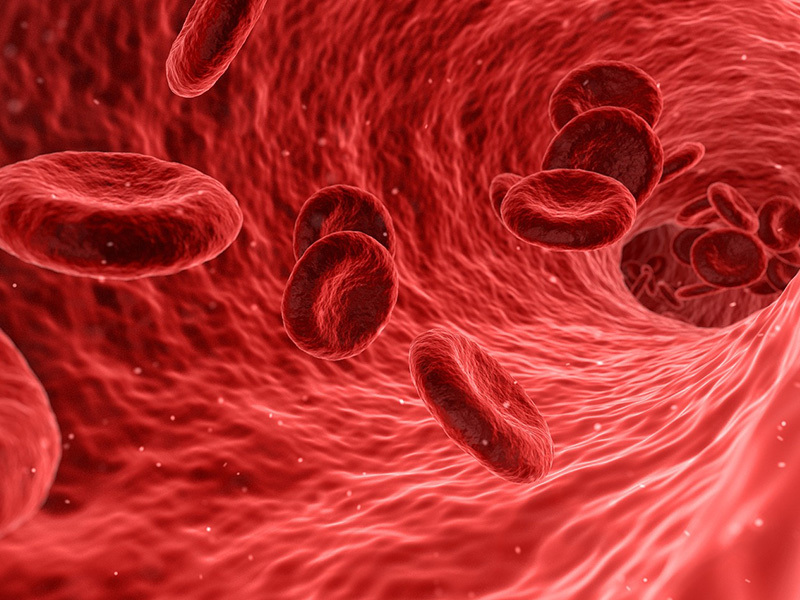 Iron deficiency anemia affects 700 million people worldwide, an estimate published by the CHARTA Foundation (Center for Health Associated Research and Technology Assessment). It is hypochromic and microcytic anemia (the red blood cells are therefore smaller and faded) generally due to the reduction of iron deposits in the body, and its symptoms are extreme weakness, paleness, irritability, among others. 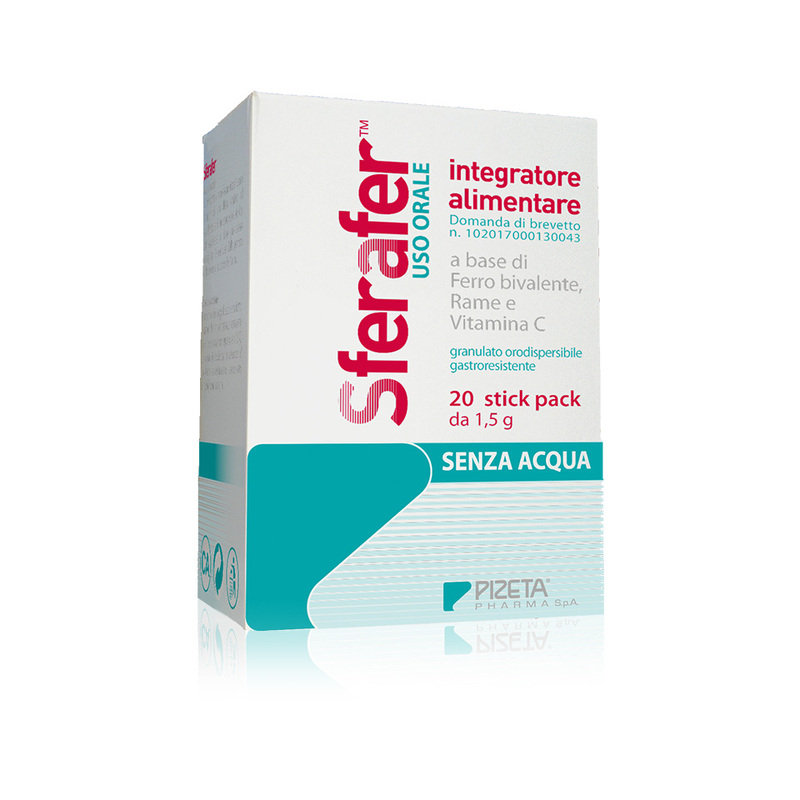 Sferafer is a bivalent iron (ferrous fumarate), Copper and Vitamin C supplement. 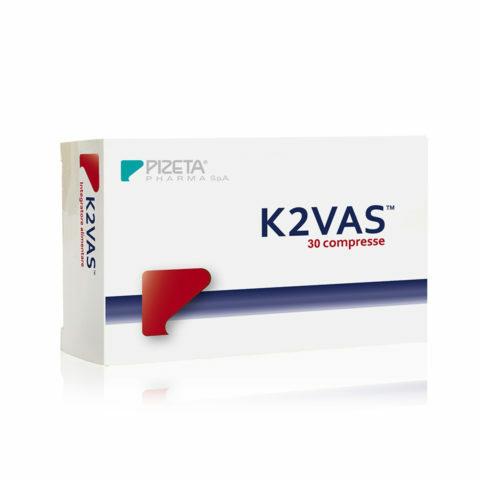 The bivalent iron is the only form of inorganic iron that is absorbed by the cells of the intestinal tract (enterocytes) and its bioavailability is 3-4 times greater than trivalent iron. Copper is the cofactor of the efestina enzyme which, by its action, allows the iron to bind to the transferrin and to be transported in the blood. 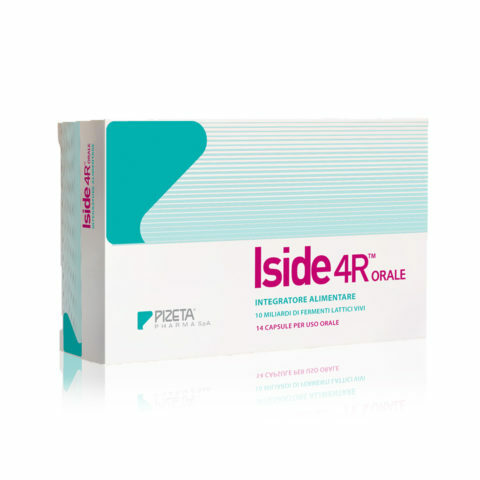 Controlled and prolonged release, that allows the resolution of common gastrointestinal side effects in oral iron treatments. Total coverage of the unpleasant aftertaste and excellent palatability of the formulation. Practical and comfortable pharmaceutical form, to be carried with you and to be taken without water. High patient adherence to therapy. 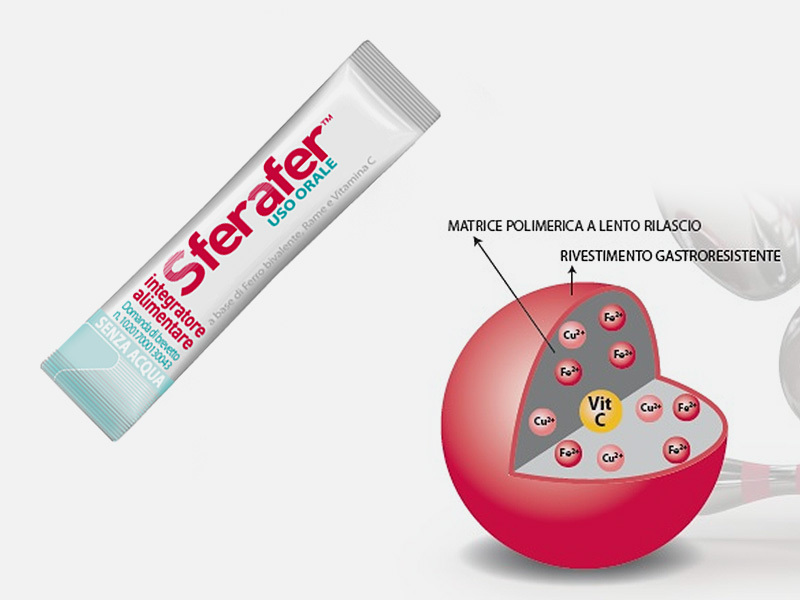 In addition to the integration with specific products such as SFERAFER ™, it is important to follow a varied and balanced diet rich in iron to combat the effects of iron deficiency anemia. On the other hand, non-heme iron is present in cereals and fruit and should be taken together with Vitamin C.
So it is good practice to season the vegetables with lemon, and the fruit salad with lemon or orange. This association allows iron to be more easily absorbed. Also remember that there are several foods that decrease the absorption of iron in the intestine, including bran, legumes and whole grains (as rich in fiber), coffee, tea, chocolate.